Don't risk spending too much when the AmeriGlide Traveler Companion Vehicle Lift/Scooter Lift Package can provide you with the absolute best in mobility and value. This deal includes the Traveler Travel scooter, which is a 3-wheel option that is specifically designed to be compact and lightweight. It comes with user friendly controls for tight handling and a sporty feel. 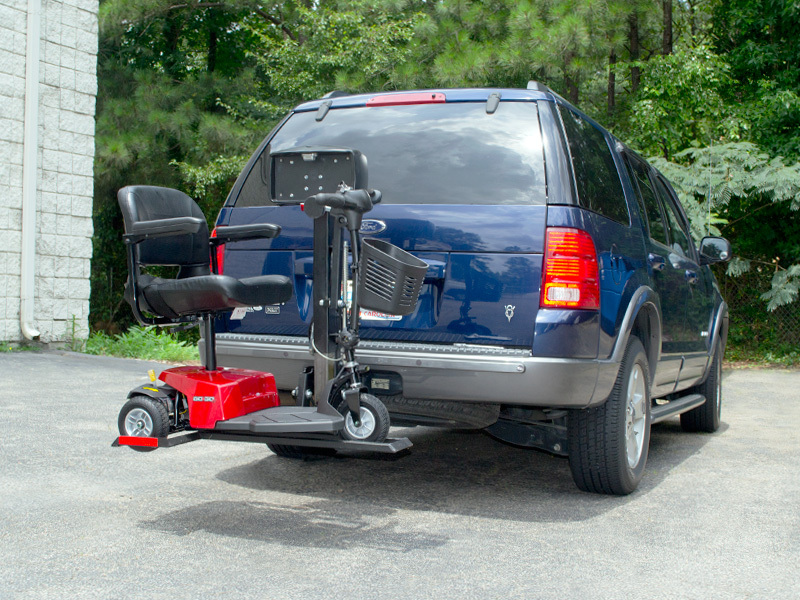 Whether you need to travel over indoor or outdoor surfaces, the Traveler is powerful enough to handle any situation and tackle long or short trips. The second component of this package deal is the AmeriGlide Traveler Companion Vehicle Lift. 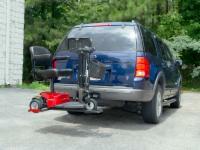 It represents the best in lightweight and versatile wheelchair lifts. This slim and sleek model has been designed with simplicity in mind. 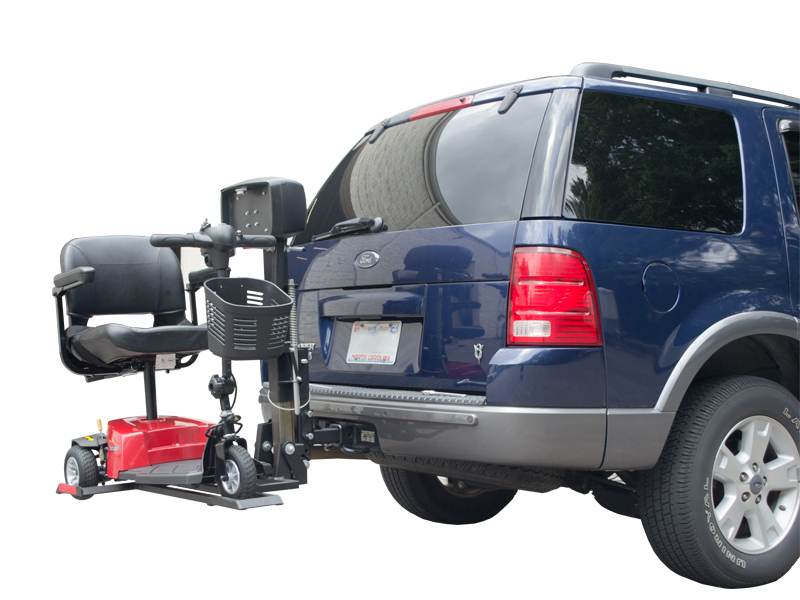 Not only is it easy to install and operate, it can accommodate almost any vehicle and is made to fit class I, II, and II trailer hitches. The T-shaped open platform takes up a minimal amount for space while also providing a strong and powerful lift that will allow you to safely transport your scooter. 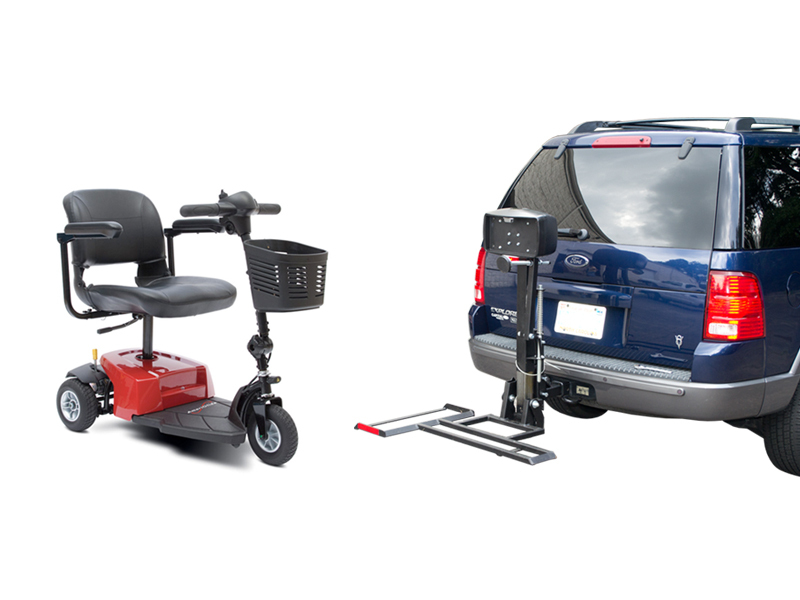 When you invest in the AmeriGlide Traveler Companion Vehicle Lift/Scooter Lift Package, you can rest assured that you are getting the best value on the market! With a simple phone call, get started on the road to enjoying greater mobility!